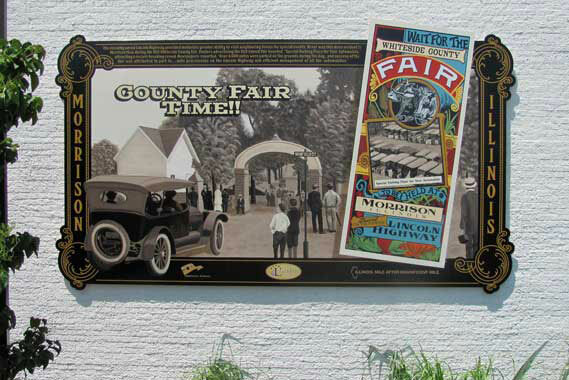 Jay Allen, owner of ShawCraft Signs in Machesney Park, painted the murals on Dibond aluminum composite. 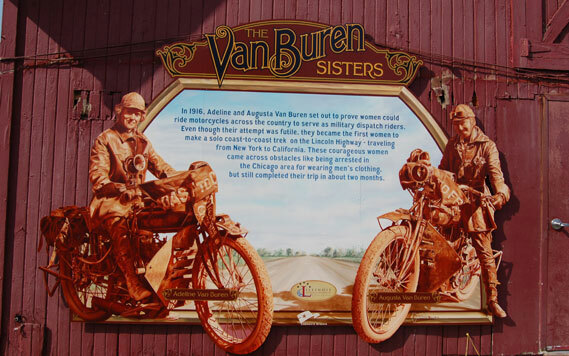 The project began back in 2006 and was funded by the Illinois Department of Commerce and Economic Opportunity and a Tourism Attraction Development Grant. 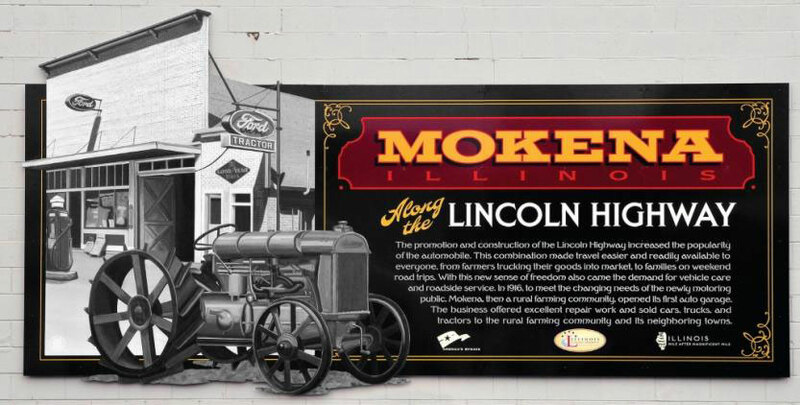 Allen described, “Officials from each town involved in the project would determine a story of how the Lincoln Highway influences their city’s development. If they didn’t have a story, we conveyed an aspect of the Lincoln Highway’s overall story.” Using general information regarding the railroad’s use, the murals sometimes focused on historically significant moments from the early 20th century such as the Transcontinental Convoy of U.S. Army vehicles led by Lt. Col. Dwight D. Eisenhower in 1919 to test the potential mobilization of Army vehicles during war. The murals are valued at $10,000 a piece and took Allen ten days to paint each 200-square-foot mural. With the help of a longtime ShawCraft employee, Joe Marshall, the murals were applied to Dibond aluminum composite, which was cut into five, 4 x 10 foot pieces for each. The shapes were cut using a Gerber Sabre 408 CNC router. To ensure the longevity of the murals, a Marabu’s ClearShield single-part, catalyzed-acrylic clear coat was applied upon completion. The decision to commission an artist to hand paint the murals allows a more intimate historical depiction. 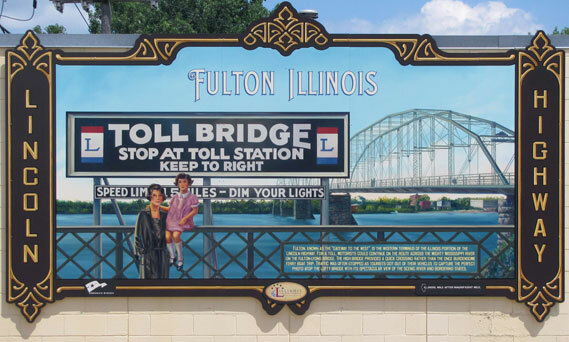 The murals are part of the centennial celebration, creating a communal sense of pride that stretches across the acclaimed highway.